Surveying NSW’s rarest Spiny Crayfish Euastacus dharawalus. Euastacus dharawalus is NSW’s rarest spiny crayfish species and in 2006 the Australian Crayfish Project identified an additional threat of significance to this species. 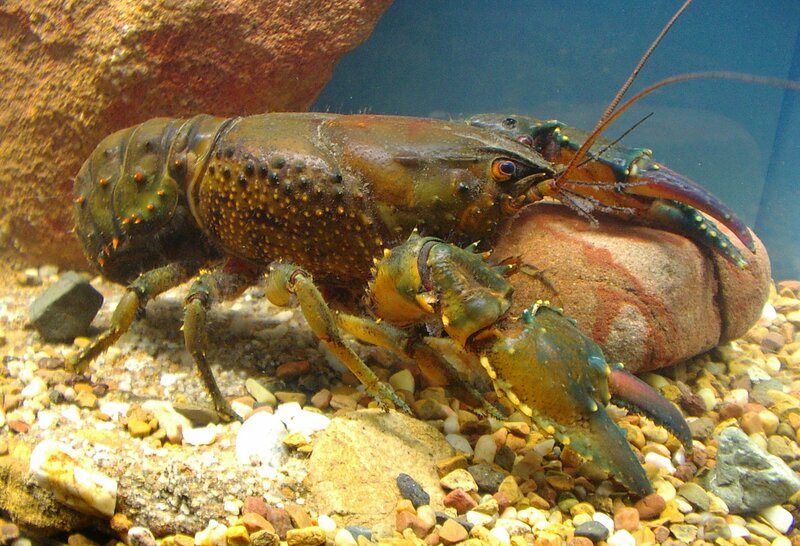 Euastacus dharawalus is only found in one small stream (Wildes Meadow Creek) roughly 11 km long above Fitzroy Falls. The Falls is an 80 m straight drop and we surmise that E. dharawalus is just a remnant population isolated from all the other species in the surrounding area by the barrier of the falls. A water supply reservoir was constructed on this small creek as part of the supply of drinking water to Sydney. This huge reservoir on the tiny creek has significantly altered the hydrology of the area and impacted on the states rarest spiny crayfish. 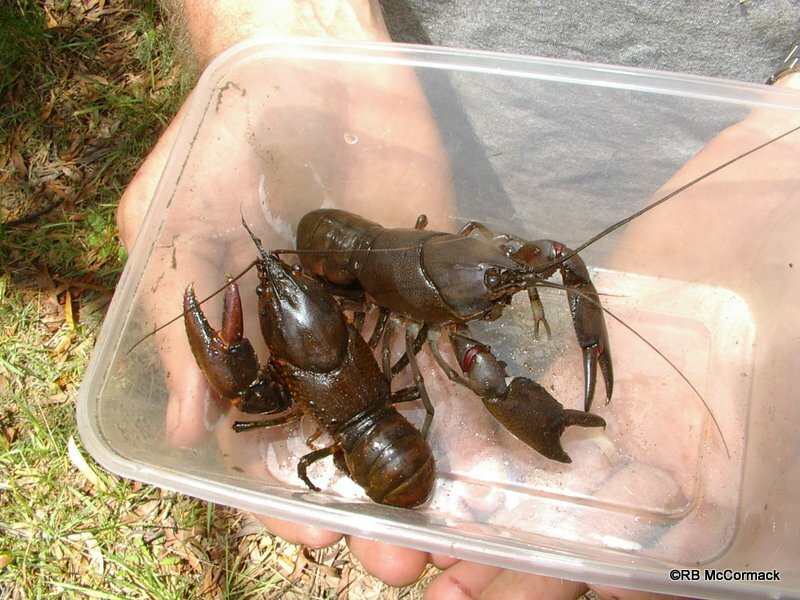 Now, to exasperate the problem an invasive crayfish species The Yabby Cherax destructor has been introduced to the area and it has gone forth and multiplied creating an ongoing and growing threat to the endemic Euastacus dharawalus. 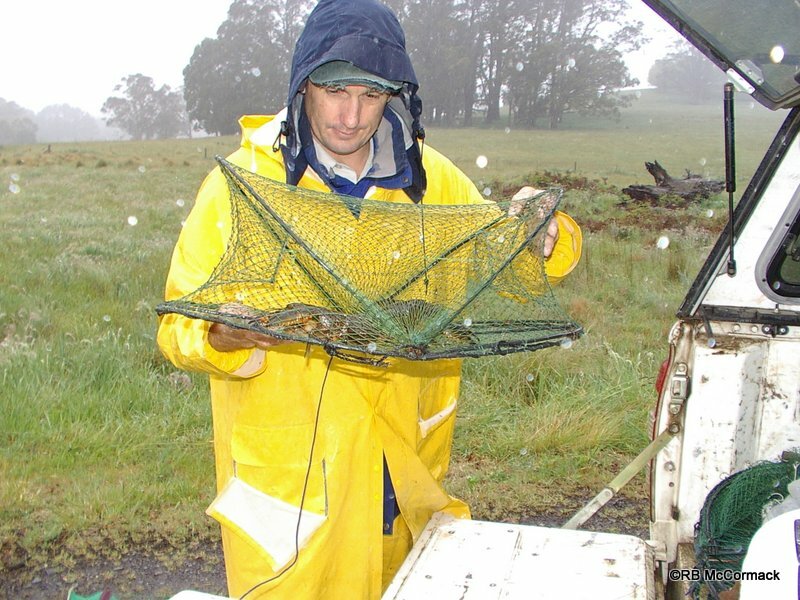 The Australian Crayfish Project has been researching the area and conducted 4 surveys and the 5th survey was conducted with the assistance of NSW DPI Fisheries. We are extremely thankfully to NSW DPI for assisting and taking an interest in the grim problem. I met up with Justin Stanger a NSW DPI Fisheries technician at the Sydney Catchment Authority office at Burrawang, NSW. The reservoir is part of the Sydney Drinking water supply and controlled by the SCA. Justin and I wished to survey the reservoir to see if E. dharawalus was using it as we know that it’s a flowing creek crayfish but we don’t know if it will utilize the still static water of the reservoir. To be allowed to enter the SCA property and survey the reservoir required a mass of paperwork but we persevered and finally started surveying just after 9am. Unfortunately, the weather was dismal with high wind, low cloud, rain and cold wet conditions. 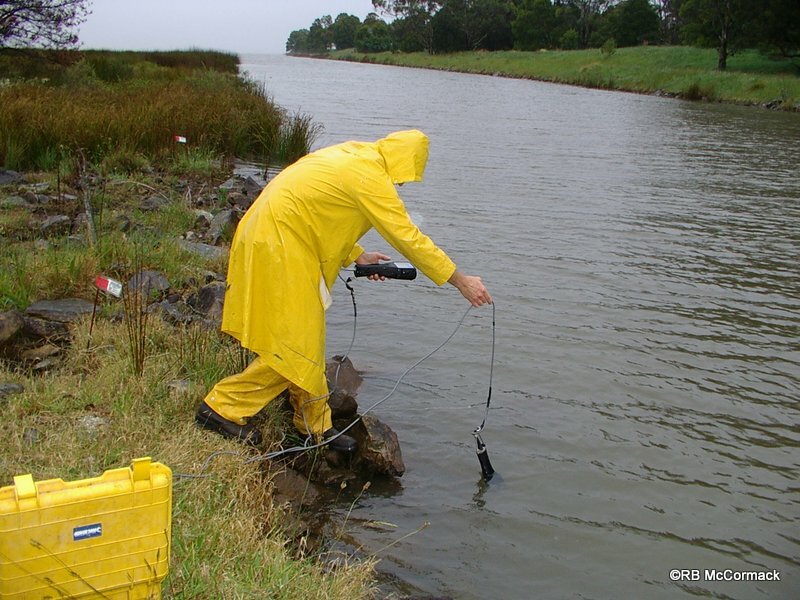 We forged on and started setting sets of 20 traps in the reservoir and the flowing streams. In the stream we captured large numbers of crayfish many females with eggs so the E. dharawaluspopulations looked good which was exceptionally good news. The bad news was that we were unable to catch even one E. dharawalus in the reservoir so that basically means this crayfish has now 30% of its known distribution area made unsuitable for habitation by Sydney’s insatiable thirst for water. 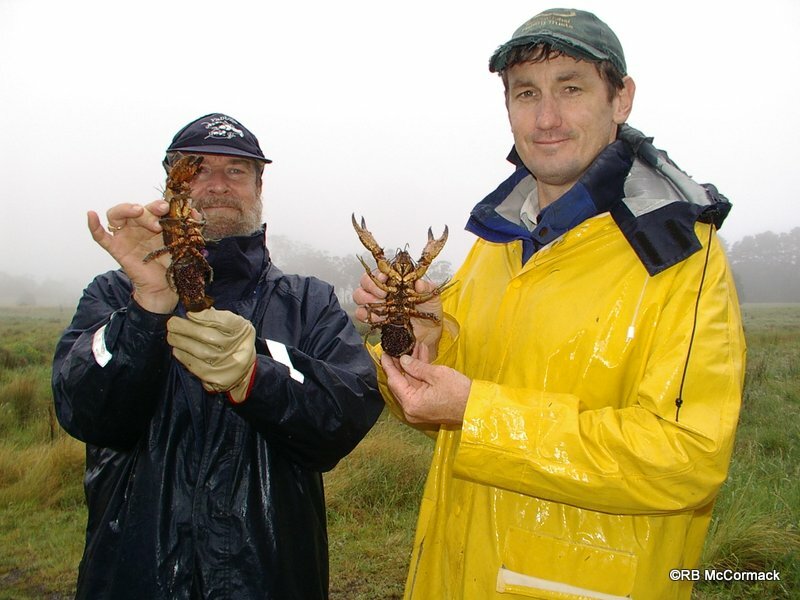 Rob McCormack & Justin Stanger with berried Euastacus dharawalus which was a very encouraging sign and lends confidence to the future of this species in NSW.